Claddagh earrings are available as stud, hoop or drop designs and are crafted in sterling silver or gold, along with various combinations. Several of our Claddagh earrings are enhanced with stones such as Connemara marble. 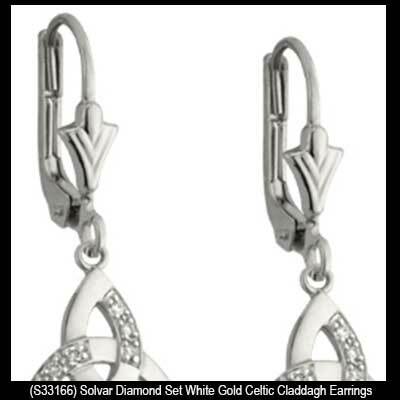 Many of the Claddagh earrings at The Irish Gift House incorporate Celtic knots into the designs; additionally, some of the Claddagh earrings feature precious stones such as diamonds or emeralds. All our silver and gold Claddagh earrings are hall marked by the Irish Assay Office at Dublin Castle and every pair is gift boxed with a legend card. 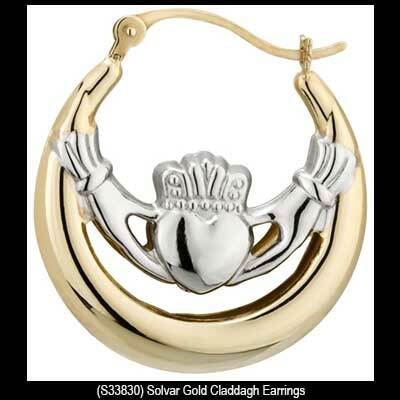 You will be proud to confirm your Irish pride when you wear a pair of these Irish made Claddagh earrings. Claddagh earrings are grouped by metal type in the above specific categories or you may scroll down to see all our selections in one place. 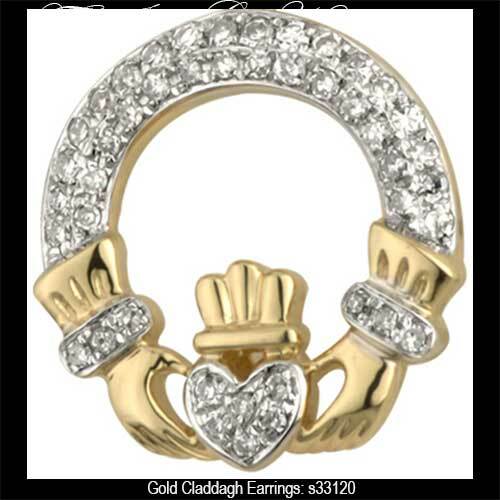 These Claddagh stud earrings are crafted in 14K gold and feature diamonds. 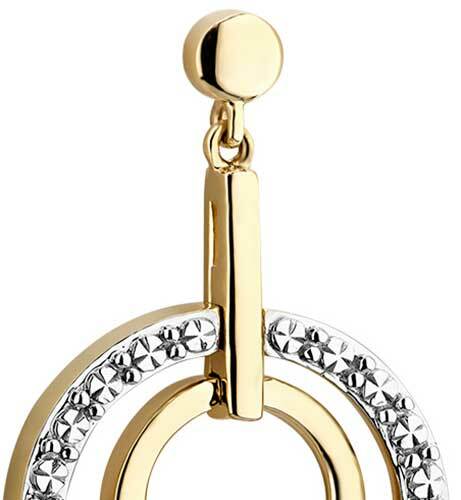 Gold Celtic Claddagh earrings feature diamond studded Trinity knots. 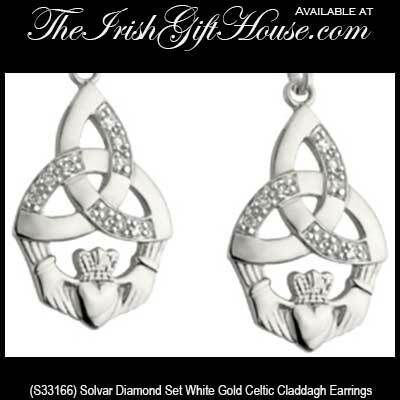 White gold Celtic Claddagh earrings feature diamond set Trinity knots. 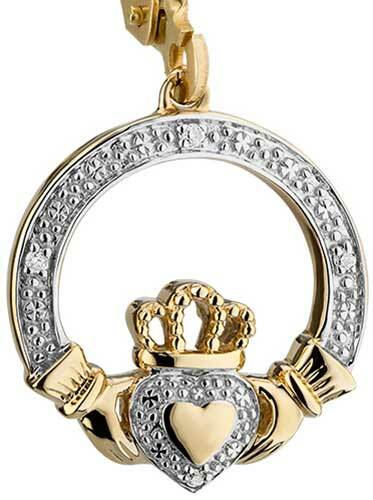 Claddagh earrings are crafted in 10K gold and feature engraved white gold that is accented with 6 diamonds. 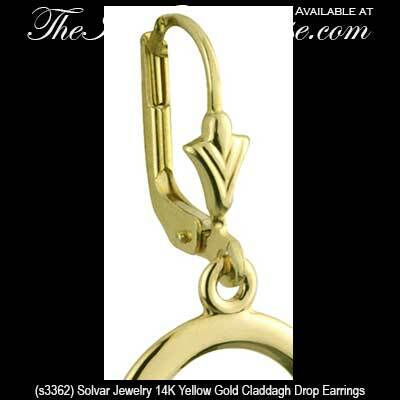 These gold Claddagh earrings are a traditional design with drop fasteners. 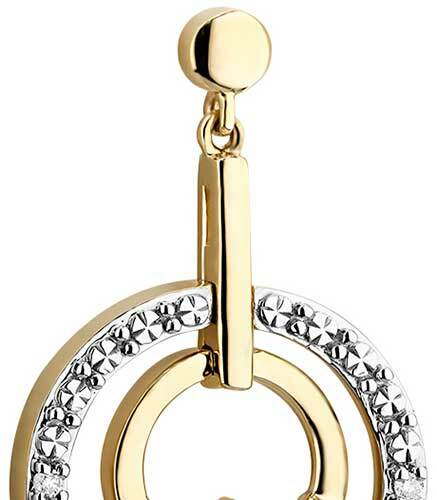 These gold Claddagh earrings are a stud style that feature diamonds. 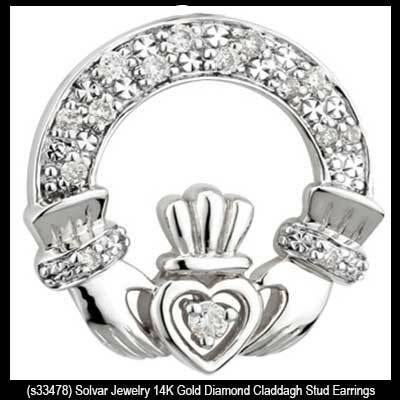 These white gold Claddagh earrings are a stud style that feature diamonds. 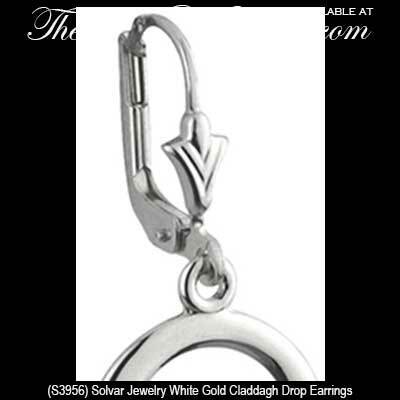 These Claddagh earrings feature white gold along with drop fasteners. 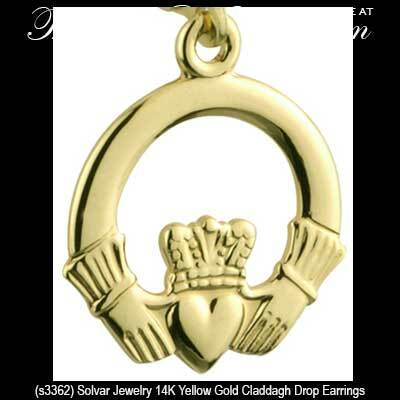 These Claddagh earrings feature triple tone gold along with drop fasteners. These gold Claddagh earrings are 14K white gold studs that are enhanced with diamonds. These gold Claddagh earrings are studs that are enhanced with diamonds. 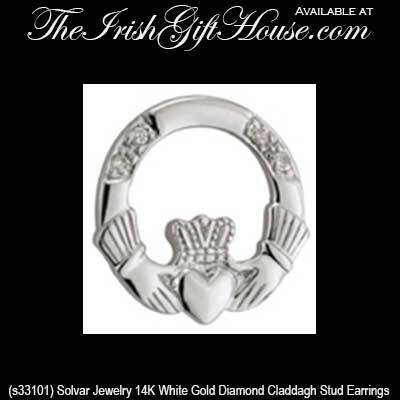 These hoop earrings features the Claddagh in 14K white gold along with a dimensional thick design. These white gold Claddagh earrings are studs with emerald hearts and diamond accenting. These gold Claddagh earrings are studs with emerald hearts and diamond accenting. Sorry, these emerald and diamond Claddagh earrings are now sold out. These Claddagh hoop earrings are cast in 14K white gold. 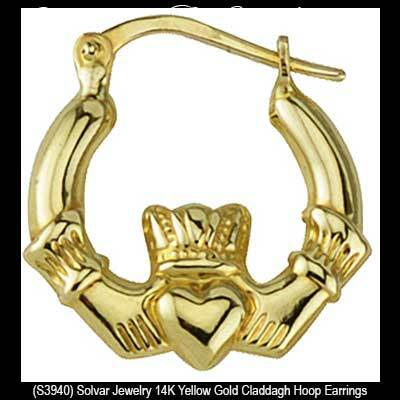 These large Claddagh hoop earrings are in 14K gold. 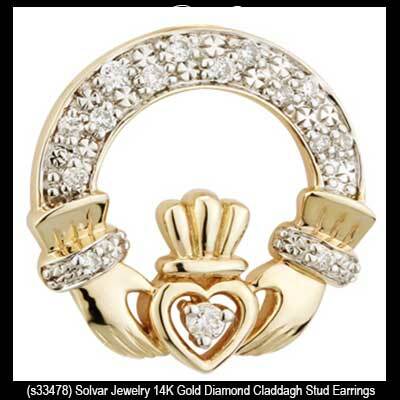 These diamond Claddagh earrings are 14k studs that feature both white and yellow gold. 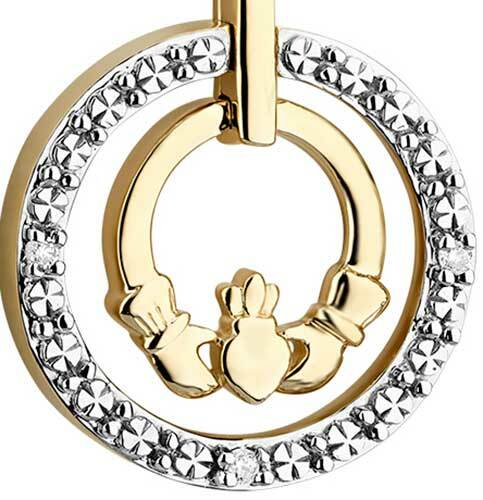 These Claddagh hoop earrings feature a large double sided design that is cast in 14K gold. 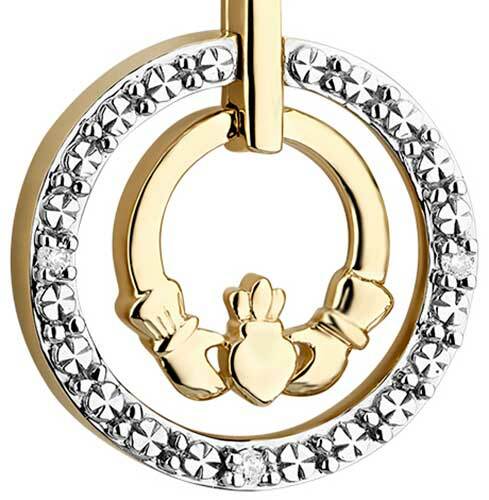 Add a sterling silver Claddagh necklace or a beautiful gold Claddagh ring to your Irish earrings and create a complete ensemble. 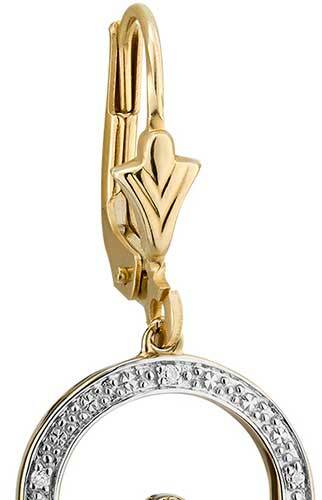 You may also wish to look at our Claddagh brooches as they make a fashionable accent to any outfit. 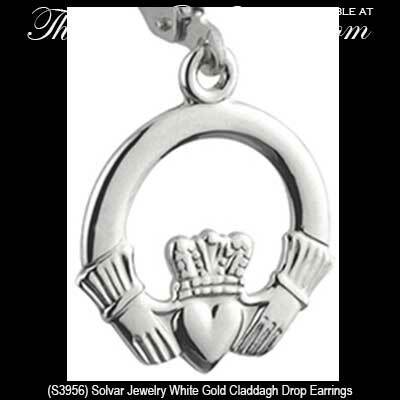 Our collection of Claddagh earrings are made in Ireland by Solvar, Tara or Cailin Jewelry.